Shopping for I Love Lucy Signs? Hello friends. I'm your Vitameatavegamin girl. Are you tired, run-down, listless? The answer to all your problems is in this little bottle...on this tin sign! 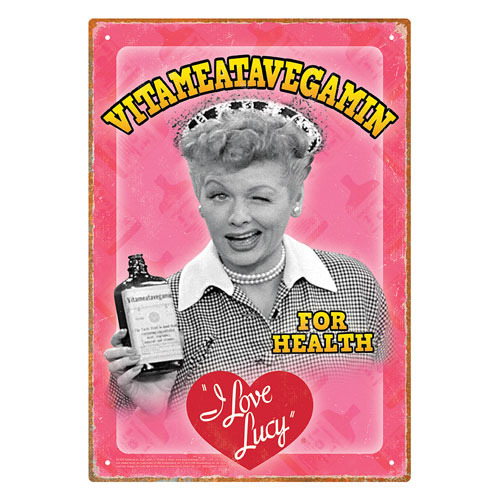 This distressed I Love Lucy Vitameatavegamin Tin Sign measures approximately 8-inches x 11 1/2-inches. So why don't you join all the thousands of happy peppy people and get your Vitameatavegamin tin sign today! Ages 13 and up.